While driving to Goreme, we got lost and ended up in the city of Nevsehir which is traditionally known for its carpets and viticulture. 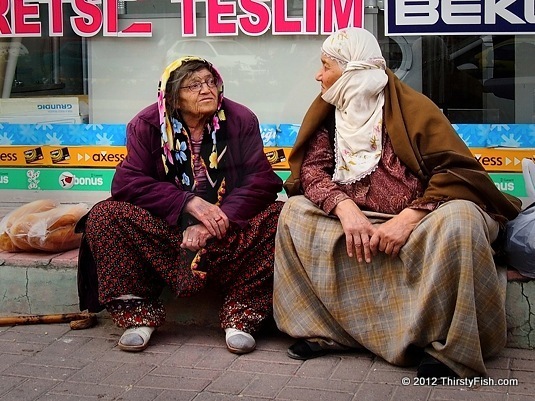 I snapped this shot of the two older ladies waiting for the bus while we were trying to get driving directions. Goreme is about 8 miles from Nevsehir.